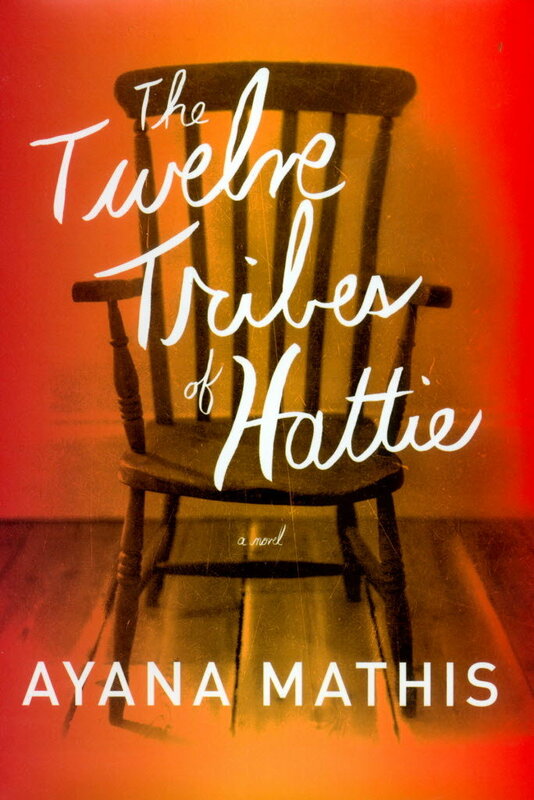 The Twelve Tribes of Hattie has received a lot of press since being chosen for Oprah's Book Club. I generally don't love Oprah's picks because they are often depressing. This one was no exception. Why does Oprah pick so many depressing books when she's all about bringing people up and giving them hope?! Ayana Mathis' debut novel begins with a teenaged Hattie trying desperately to save the lives of her infant twins, both of whom are suffering from pneumonia. She fails, and this has repercussions on her life and many, many others over the years. The story is narrated by multiple narrators from the 1920s to 1980, all of whom are intimately associated with Hattie - her sister, her husband, her children. I listened to this book via audiobook, and I think that was a big mistake. I got very confused with all the narrators and how they were related to Hattie and to each other. The narration would jump around a lot and I had trouble understanding the time line. I had no idea of the birth order of Hattie's children and how often they saw each other, or how differently they had grown up. I have a feeling that this may have been easier to follow in reading the book physically, especially if there was a family tree of some sort involved, but I was very, very lost. I also just didn't think I knew Hattie well enough to understand her impact on everyone around her. She was an unhappy woman who infected other people with her unhappiness, but she wasn't a compelling enough or strong enough character to carry this burden through the story. And while the glimpses we got into the lives of the people around her were interesting, I was always very happy to leave them and relieved to move onto someone else. But the next person would be just as depressing! And while I am sure that having an emotionally unavailable mother made their lives hard, we are given hardly any insight as to how all of the narrators became so damaged themselves. It can't all have been Hattie's fault. But no insights there. My next audiobook is back to Flavia and her mysteries, so I think it will be a bit more fun and peppy than this one was - I think I need it after this! Bummer. I have this book on my TBR List. I think I will stay away from the audiobook version. I ordered the audio from the library, but I am glad to have read your review, because the book hasn't come yet, and now I can cancel the order and read it in print. I also don't quite understand how ones mother can have such an influence on their lives, to the point of making them miserable or depressed. At some point, it becomes the choice of the individual on which way they want to live! Hmm...been vaguely curious about this one but good to know about the audio. I have a review copy of this, I'm glad it's not an audio version now. I tend to prefer depressing books, I wonder what that says about me! Some of them are so amazing!! Interesting to read this as I've been seeing positive reviews and been thinking of reading it. I still will, but having read your thoughts will stop those expectations being too high. This also is on my TBR list. But I might wait on it. I don't need a depressing book right now. I've heard some good things about this, but it's good to hear about the other side of things. Isn't it funny how Flavia is such a dark, weird kid but reading the series is so fun? I want to read this but it's just never a good time for a depressing book. Now Flavia, I'm always in the mood for! I read the title of this post and thought "what book is that"? I really enjoyed this book but I wouldn't recommend listening to it. There's way too many characters for that. Were there different narrators? I've come close to buying this a few times but can't get past how depressing it sounds. And something has to be pretty depressing to scare me off! I agree 100% about Oprah's book club. All of the ones I've tried are depressing to the point of unpleasant. I had to make a table with the years along the top and people names on each row. And then I wrote their ages within each cell. That was the only way I could make sense of the timeline. I also didn't like how each character "disappeared" after his/her story. Even though that's what typically happens in short story collections, in this case, because of the jagged timeline, in 1980, I was really curious what happened to Frank or Six or Alice. Same - why couldn't we at least be given hints?! Why DOES Oprah pick depressing books?